Theme music makes everyone cooler. Just think how much more fun it would be if your own personal theme song was playing the next time you are out for a walk, or shopping at the grocery store. That theme music dream of yours can happen with the “Playin Your Theme Sneakers”. These are shoes with built in speakers that will blast your personal theme song every time you take a step. Now go out pick up a flashy new outfit, learn some martial arts moves and you will be staring in own TV show in no time. 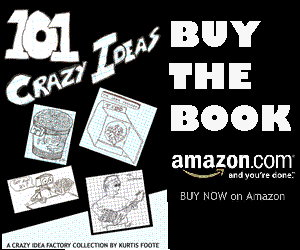 One Comment on "What You Need is Theme Music, From Your Shoes"
That would be fun! 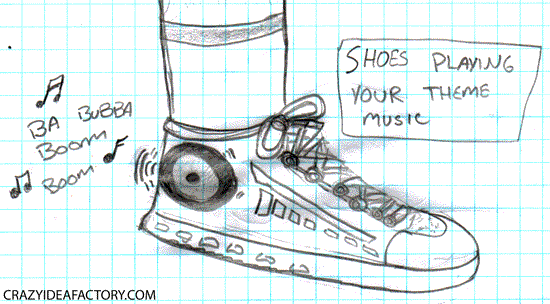 having a music player in your shoes. I think it would be nicer if boom-boom music is played. 🙂 I really would like to try that.